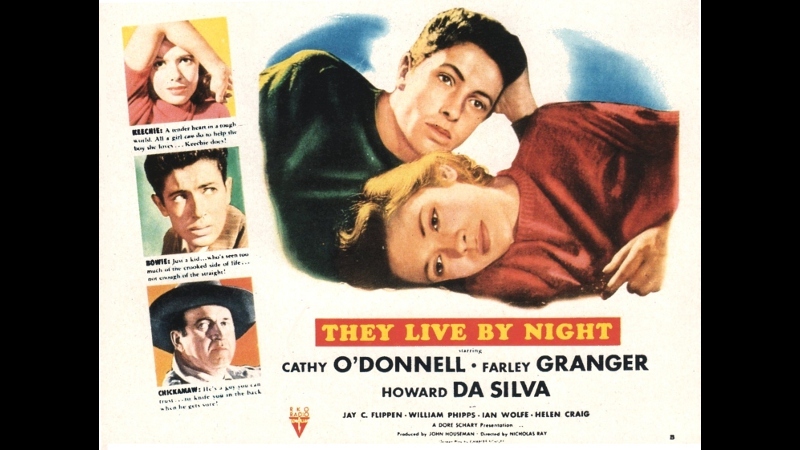 Based on Edward Anderson's 1937 novel Thieves Like Us---which was also adapted into an excellent Robert Altman film of the same name---Nicholas Ray's They Live by Night (1948) marks the debut of a director largely remembered for Rebel Without a Cause. 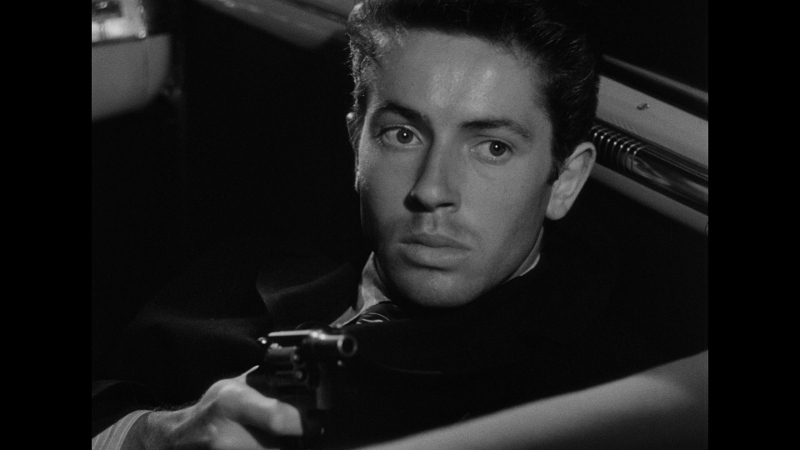 It also marks the first lead role for star Farley Granger (Rope, Strangers on a Train), who excellently portrays an escaped convict that fails in his attempt to leave criminal life behind. By his side is Cathy O'Donnell who, having previously made her mark in 1947's Bury Me Dead, again impresses as the better half in this "couple-on-the-run" prototype later made famous in films like Gun Crazy and Bonnie and Clyde. Called by their nicknames more often than not, "Bowie" (Granger) and "Keechie" (O'Donnell) meet for the first time when the former is injured in a car accident. She believes the convict's claim of innocence, even when he intends to rob a bank with much less innocent ex-cons "One-Eye" Mobley (Howard Da Silva) and "T-Dub" Mansfield (Jay Flippen) to hire a defense attorney. He's hoping to get his life in order and she's more than willing to help him...but when they decide to run away together after the robbery, trouble follows them almost every step of the way. Not only is Bowie's name all over newspapers after evidence is found in the group's getaway car, but Mobley burns through his share of the cash quickly and is looking to get the band back together. With any luck, though, Bowie and Keechie will fulfill their dream of escaping his checkered past and leading happy, normal lives out in the open. 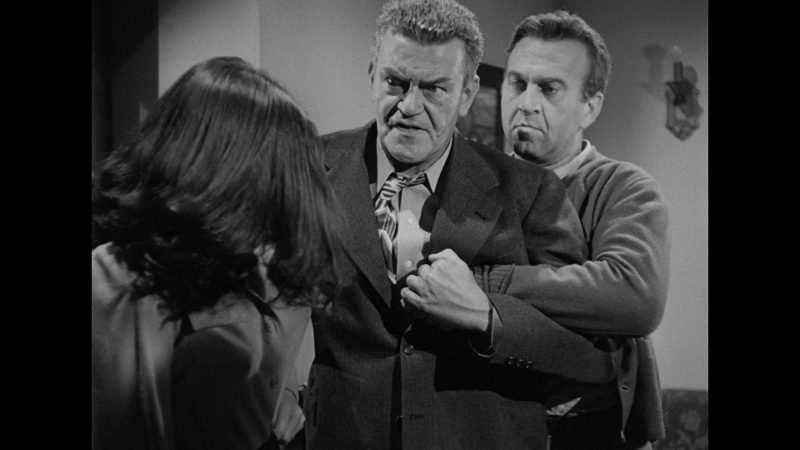 Nicholas Ray made a career out of examining young, troubled outsiders in a sympathetic light, and They Live by Night obviously qualifies as a strong first attempt. It's a well-crafted production, stylishly shot by cinematographer George E. Diskant (On Dangerous Ground), with no shortage of memorable characters that each play a distinct part in the film's tragic but tightly wound cause-and-effect chain. Several years ahead of its time, They Live by Night plays exceptionally well today and its enduring power is partially thanks to Criterion's new Blu-ray edition. Featuring a brand new 2K restoration, lossless audio, and bonus features that improve on Warner Bros.' double feature 2007 DVD, it's a well-rounded package that established fans and first-timers should enjoy in equal measure. Presented in its original 1.33:1 aspect ratio, They Live by Night looks much more refined than Warner's 2007 DVD, which was impressive for its time. This 1080p transfer is the result of a new 2K restoration and, combined with the benefits of better encoding and format resolution, everything about these visuals is more impressive overall. Black levels are more consistent, image detail and textures are improved, and the film's light but noticeable grain structure is represented perfectly well from start to finish; the result is a generally clean, natural, and crisp appearance. No obvious digital imperfections or heavy manipulation (including compression artifacts, interlacing, excessive noise reduction, etc.) could be spotted along the way, either. While They Live by Night has always looked a little rough around the edges at times---especially during a few close-up and medium shots, some of which appear to be slightly out-of-focus---this is still a great-looking transfer and fans should be extremely pleased. There's less to say about the PCM 1.0 track, aside from that it's perfectly adequate and sounds better than expected for a film that's quickly approaching its 70th birthday. Dialogue, Leigh Harline's score, and background effects are relatively crisp and clear without fighting for attention, while the overall experience even manages to display a few moments of depth at times. Overall, this lossless mono presentation seems true to the source material and purists will enjoy the lack of surround gimmickry. Optional English subtitles are included during the main feature only. As usual, Criterion's interface is smooth and easy to navigate. This one-disc release is locked for Region A players; it's packaged in their typical "stocky" keepcase with moody cover artwork by illustrator Mark Chiarello. The included Insert features notes about the new restoration and an essay by film scholar Bernard Eisenschitz. As usual, Criterion presents a mixture of old and new goodies on this Blu-ray, most of them film-specific. The new material leads off with an Interview featuring critic Imogen Sara Smith (2017, 21 minutes), who speaks about the film's considerable influence, its adaptation from the source material, and the career path of director Nicholas Ray. Also of interest is a photo-assisted Radio Interview from Gideon Bachmann's Film Forum (1956, 7 minutes), in which They Live by Night's producer John Houseman speaks about his career in the industry, which would continue for more than 30 years and also include screenwriting (Jane Eyre) and acting (The Fog, Rollerball). Two more supplements have been carried over from Warner Bros.' 2007 DVD: a feature-length Audio Commentary with actor Farley Granger (who died in 2011) and Film Noir Foundation founder Eddie Muller, as well as a short but enjoyable film-specific featurette "The Twisted Road" (7 minutes) featuring the likes of Molly Haskell, James Ursini, Alain Silver, Oliver Stone, Christopher Coppola, Farley Granger, and some guy named Glenn Erickson. Certainly a film ahead of its time, Nicholas Ray's They Live by Night is a prototypical "couple on the run" drama that would obviously influence future classics like Gun Crazy and Bonnie and Clyde. Sharing more than a few similarities with his more well-known Rebel Without a Cause, this tragic tale of young love has only grown in stature during the past seven decades and holds up well today. Featuring two outstanding lead performances, great cinematography by George E. Diskant, and a tight story based on Edward Anderson's Depression-era source novel, this "rural noir" feels like more than the sum of its parts. Criterion's Blu-ray follows suit with an excellent new 2K restoration and extras that improve on Warner Bros.' 2007 DVD. Highly Recommended to fans and first-timers alike.